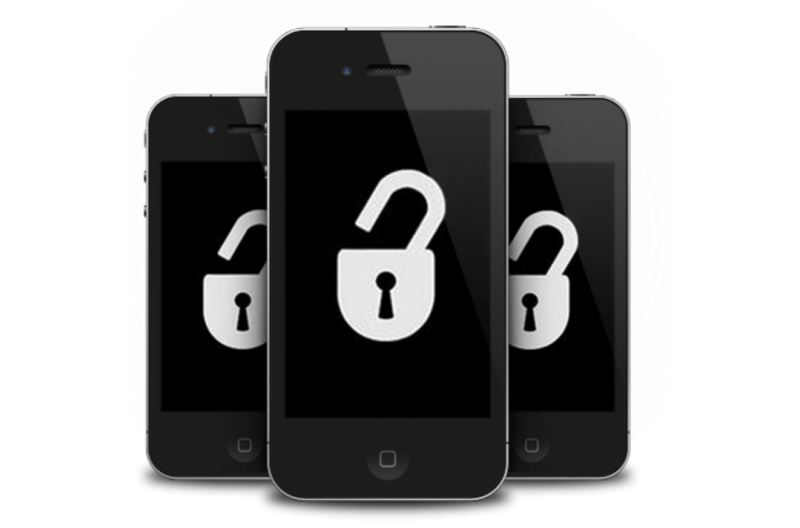 Finding one of the best unlocked phones for travel may seem like a daunting task. This is true whether you are on the verge of a great adventure around the world or simply spending a week or so overseas. If you are careful to consider the many options, selecting one of the best unlocked phones is possible for travelers of all budget ranges. Whether you want one of the best phones for travel to prepare for a future trip, or need a new one at your current location, odds are high that you are never out of reach of getting one of the best unlocked phones for travel. For your reference, let’s now go ahead and take a look at the best unlocked phones so that you can discover what your options are. The Apple iPhone 6S Plus is one of the best unlocked phones for travel since it is unlocked and capable of use all around the world. All you need to do is plug in the SIM card of your local carrier, and you will be online within seconds. This iPhone is very affordable if you stick to the 16GB model. However, if you want a little extra space, there is also a 128GB model which is available if you spend some extra money. You can check Apple iPhone 6S Plus prices here. Having an iPhone is a top option for anybody who wants to have a nice cell phone. However, there are few unlocked options which can top the Apple iPhone X, which comes with 256GB of space and the freedom to choose your carrier. If you want to save some money, there is also a 64GB model which is a tad less expensive. With premium features such as wireless charging, curved HD display, and intuitive face-recognizing technology, this iPhone is for the traveler who wants to carry the latest and greatest technology with them on their adventures. Click here to see the current Apple iPhone X price on Amazon. If you want a balance between price and quality, then this is one of the best phones for travel for your personal needs. The Apple iPhone SE comes with an unlocked network and 32GB of space for storing photos, videos, apps, and other files. This phone comes at only a fraction of the cost as the newest iPhone models. This is a option for anybody who wants one of the best unlocked phones for travel at an affordable price. This model comes with 16GB, 32GB, 64GB, or 128GB storage space, and features a 12MP camera and a fingerprint sensor built into the Home button for extra security. With the ability to customize your storage space and a competitive price, this is easily one of the best unlocked phones for travel. Click here to check the price of the Apple iPhone SE. Odds are high that you have already heard of the Galaxy S series from Samsung. Now you can get the Samsung Galaxy S8 Unlocked with 64GB of storage space unlocked so that you can choose your cell phone service provider. The incredible design, features, and price of this model make it one of the best unlocked phones for travel. With a 6.2” screen that allows you to operate multiple tabs at a time, multitasking has never been easier with a smartphone. The buttons also help provide a very modern style of functionality, with invisible navigation buttons that light up when used. Click here to check the price of the Samsung Galaxy S8. This impressive Samsung Galaxy Note8 smartphone is one of the best phones for travel since it comes with all of the necessary features, such as a 12MP camera, 64GB of storage space, waterproof technology (up to 1.5 meters), and an unlocked network provider. However, just keep in mind that you can’t use this phone with any CDMA carriers like Sprint, Boost, or Verizon. This phone can also charge with a wireless charger and comes with Gorilla Glass protection. This will ensure that it is durable enough to last through hard times. All you need to use this smartphone is plug in a SIM card and you will be ready to use one of the best unlocked phones for travel. Click here to check out the latest price of the Samsung Galaxy Note8 on Amazon. This Samsung Galaxy S7 will present you with a slightly better deal than purchasing the newer Galaxy S8 model described above. It comes with fingerprint-recognizing technology and is resistant to shattering, dust, and water. This is one of the best unlocked phones for travel since it offers a great deal on a slightly outdated high-quality smartphone. Since this device is shatter and water-resistant, you can safely carry this phone around the world. There is no price which provides peace of mind that you won’t break your phone. With 32GB of standard storage space and the ability to add an extra SD card, there is more than enough space to store your personal files. Click here to check out the latest price of the Samsung Galaxy S7. The BLU RI HD Cell Phone is a great option for anybody who wants an affordable unlocked phone with a competitive 16GB of storage space. Coming at a fraction of the cost of a typical smartphone, this is one of most affordable options available which will accommodate a traveler. With the ability to add in an SD card, the storage space can upgrade to your desired level easily. It has an 8MP main camera with a 5-inch HD display. The only thing that this phone lacks is the popular Apple or Samsung software. However, this is a great phone for people who enjoy using Amazon applications and are Amazon Prime members. Click here to check the latest BLU R1 HD prices. This is the 5th Generation of the Motorola Moto G Plus, which caused a stir upon cell phone users who are constantly searching for the best deal on an unlocked phone. This is especially true among users who have an Amazon Prime subscription. This phone has special features designed just for Amazon Prime users. This device can charge 6 hours of use in only 15 minutes and offers instant access to Amazon Prime features. Although it comes with either 32GB or 64GB of storage, you can also add in an extra SD card. Keeping this in mind, the storage space then is almost endless. If you want to have 4GB of RAM as opposed to only 2GB, you should get the 64GB model. Due to its competitive price and unique features, many people consider this to be one of the best phones for travel. Click here to check out the latest price for the Motorola Moto G Plus. If you want an affordable unlocked cell phone, the Huawei Honor 6X is one of the best unlocked phones for travel to consider. With two different SIM slots in this device, this is one of the best phones for travel since you can switch service providers without even turning your phone off. It also has an impressive battery life which last 1.5 days of rigourous use. This phone also has a 12MP camera and 32GB of storage space. Considering that many of the more expensive smartphones fail to meet these criteria alone, this is easily one of the best phones for travel. If you want to experience the ability to use multiple SIM cards and have a long-lasting battery, this is a great option to consider. Click here to check the Huawei Honor 6X price on Amazon. If you like the Huawei smartphone and want a model with a tad more storage and features than the Honor 6X, you might instead consider the Huawei Mate 9, which comes with 64GB of space and instant connection to internet search engines with Amazon Alexa. One impressive thing about this phone is that it can support 1334 different carriers. This means that it can work in 217 countries in regions. That means that this phone can be used essentially anywhere in the world, making this easily one of the best phones for travel that you can find. Click here to check out the latest price for the Huawei Mate 9 on Amazon. When you look around the best phones for travel, it is important that you get an unlocked phone. This will help you to avoid any potential problems down the line. Unlocking a phone in a foreign country where you don’t speak the language can be difficult-to-impossible to do. If you want the best phone for travel, you should start by checking out the Apple iPhone X due to its features which are simply not found on most smartphones in general. However, if you want to get an affordable phone to use all around the world, you should start by taking a look at the Huawei Mate 9. If you need also need a new laptop before leaving, check out my Best Travel Laptops article. Tagged best phones for travel, best unlocked phones, best unlocked phones for travel.